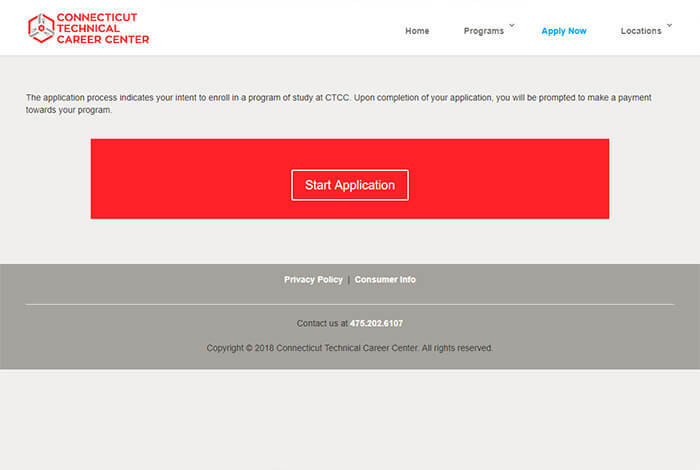 The Connecticut Technical Career Center was overdue for a new web presence. 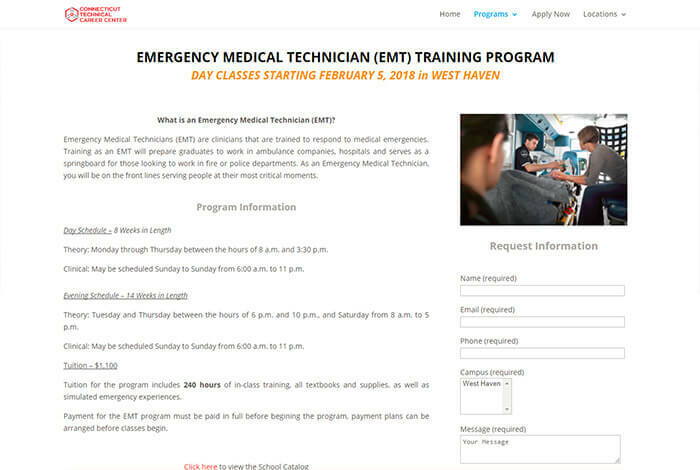 3PRIME provided a comprehensive website to inform and convert website visitors into students for their EMT, CPR and First aid courses. There is a contact form on every page allowing for easy connection with people who have questions. 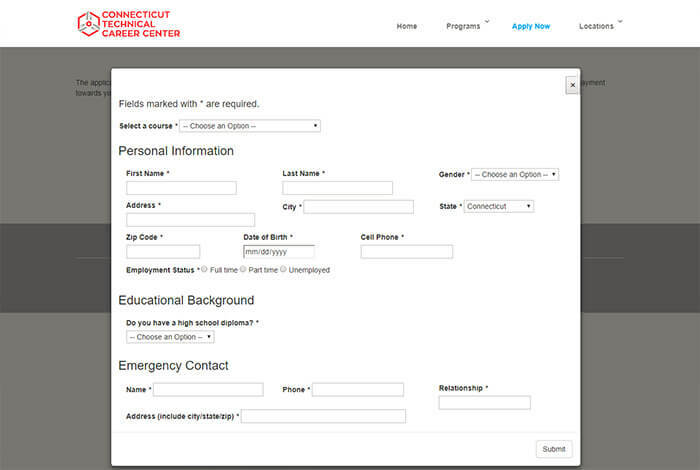 We developed a customized online application form as a way for potential students to easily start the process of applying to a program of their choice. 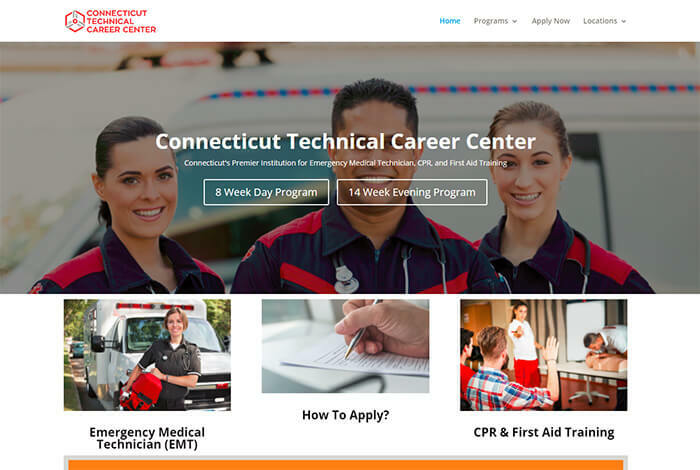 This customized WordPress theme will now help CTCC get the attention and students they are looking for. CTCC needed a professional website that was viewable on all desktop, tablet, and mobile devices. Program overview and information is clearly displayed with a contact form on each page. A custom online application was created to convert website visitors into students!